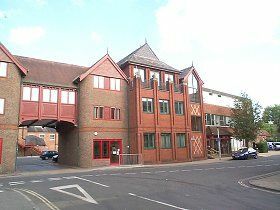 Winchester City Council, our “home” local authority in Hampshire. The cathedral city and ancient capital of England actually only forms a small part of what is otherwise a largely rural authority. The district encompasses a large swathe of central Hampshire countryside – much of which now falls within the new South Downs National Park (see below). Development Plan: Winchester has adopted a Core Strategy (now known as Local Plan Part 1 – Joint Core Strategy) which replaces some but not all of the 2006 Local Plan. They have begun producing the Part 2 (Development Management and Site Allocations) but don’t anticipate adopting until summer 2016. Pre-application advice: Winchester charges for this service (no charge for householder proposals) with fees dependent upon the scale of the proposal and whether you require a full detailed or an in-principle response. Call us for advice on whether this service is worthwhile in your case. Affordable Housing: The new Core Strategy has no threshold so the national thresholds of 10 units (5 units in the South Downs National Park) or 1000 sqm applies. Proposals above these levels will be expected to provide 40% (of the gross numbers) as affordable housing. On sites of fewer than 5 dwellings a financial contribution will be accepted but 5 or more it will be expected on site. Winchester has adopted CIL which will be charged to all approvals after 07 April 2014. 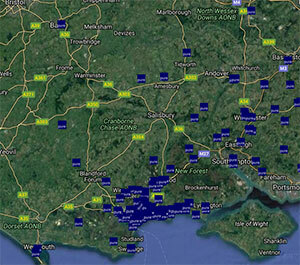 NOTE: CIL only applies outside of the South Downs National Park. In the National Park previous S106 requirements remain. A substantial area of the district is within the South Downs National Park. The National Park Authority are actually the local planning authority for that area but they have delegated out most day-to-day determination of planning applications to the City Council only dealing with the most significant proposals. The Council has a policy to try and encourage new small dwellings – on sites of 2 or more units at least 50% must be 1 or 2 bedroom dwellings under 75 sqm. There are also restrictions on extending or replacing small dwellings in the countryside. New residential development has to meet Level 5 for the energy & CO2 section of Code for Sustainable Homes and Level 4 for water.